Philly Pretzel Factory has over 100 locations in the northeastern region of the United States. 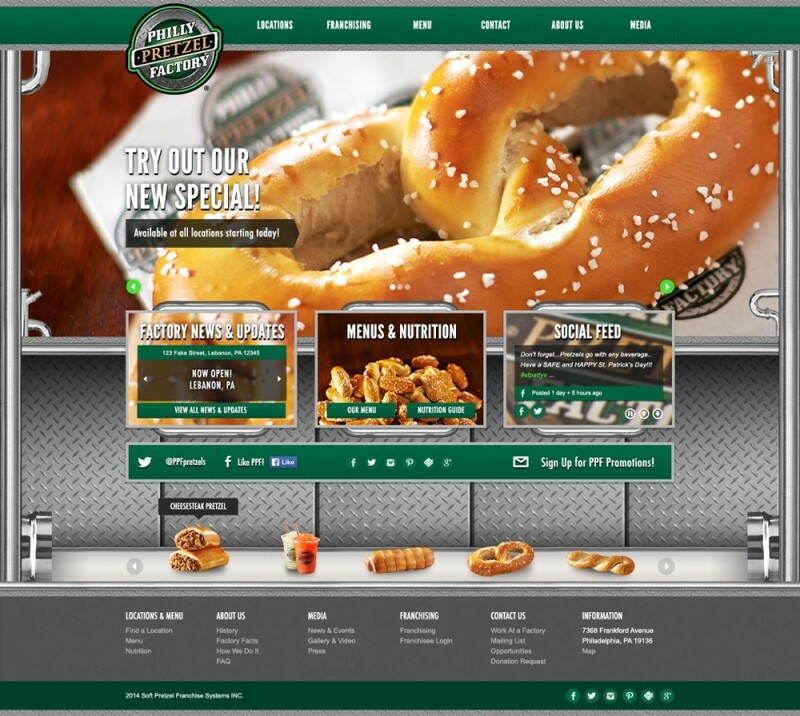 After creating Philly Pretzel Factory’s flash website many years ago, TVI was tasked with creating an updated web experience while keeping many of the same unique features of the old site. The new, fully responsive Philly Pretzel Factory website uses a CMS with a custom admin theme to allow for easy editing and updating of corporate store photos, specials, and menus. Individual store owners have precise control over their store pages with the ability to post coupons, update their menus and more. Corporate level users can set permissions store managers as well as set prices for items. The new store locator is built with Google maps, automatic distance calculation, location name search, and other filtering options to allow users to easily find a Philly Pretzel Factory closest to them.